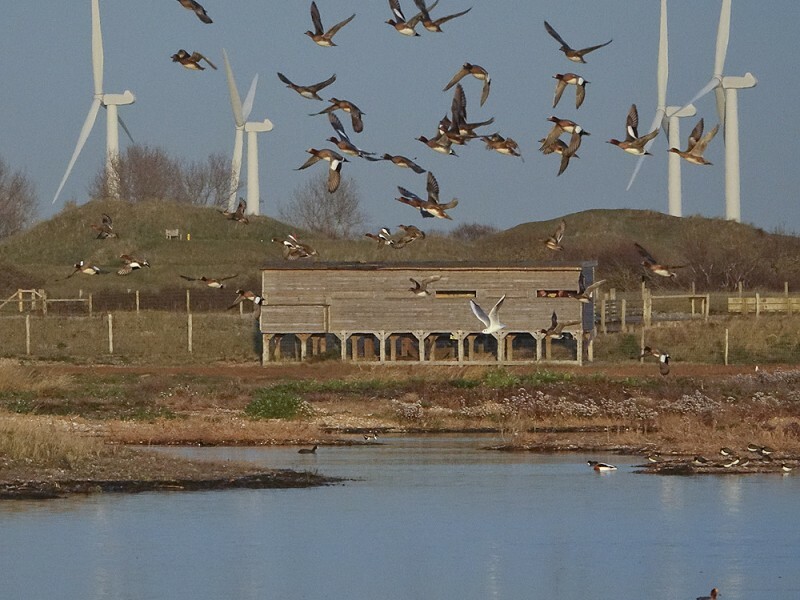 The wetland wildlife has increased on the southern part of Rye Harbour Nature Reserve. 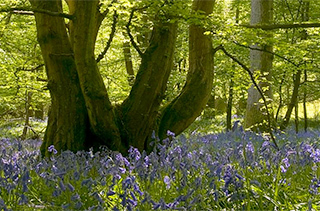 This is land owned by the Environment Agency (EA) and leased to SWT since 2011. The part known as Rye Harbour Farm was an arable farm until 2002, when EA bought it to enable the construction of a secondary sea defence to protect homes and businesses. The sea defence bank was constructed in 2005 from clay and soil excavated from the former arable farm and this created several large pits and many shallow ponds and scrapes. 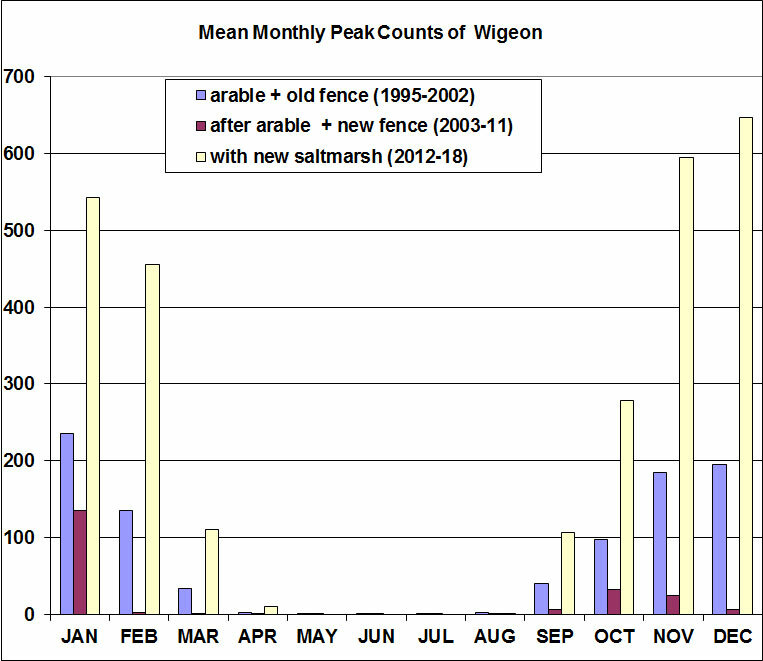 We have since modified and managed these for wildlife. 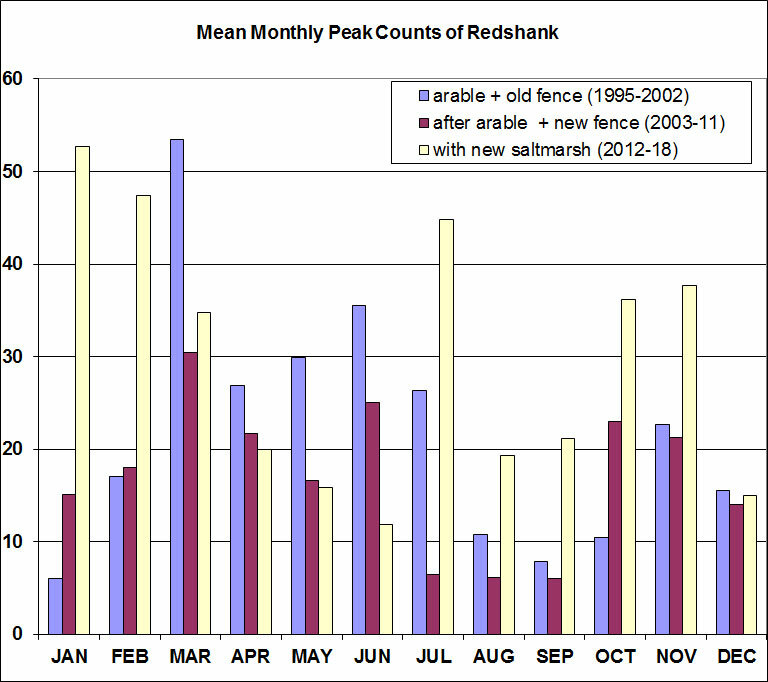 In 2011 the sea was let back into two fields for the first time in 60 years to re-create saltmarsh habitats. We have also fenced the new habitats and re-introduced local Romney sheep grazing and created more footpaths for visitors to explore the area along a range of circular routes. 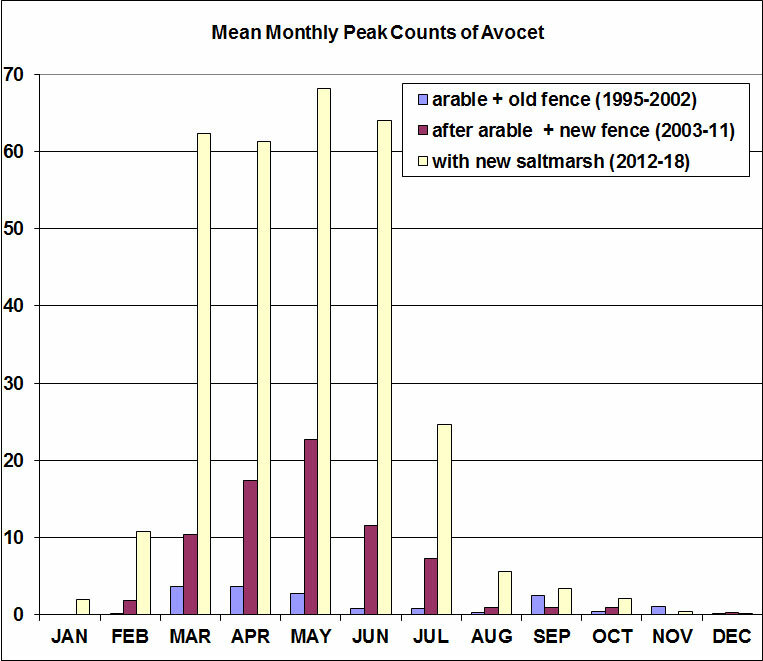 The improvements for wildlife have been dramatic and a small taste of this is in the counts of some of our wetland birds. 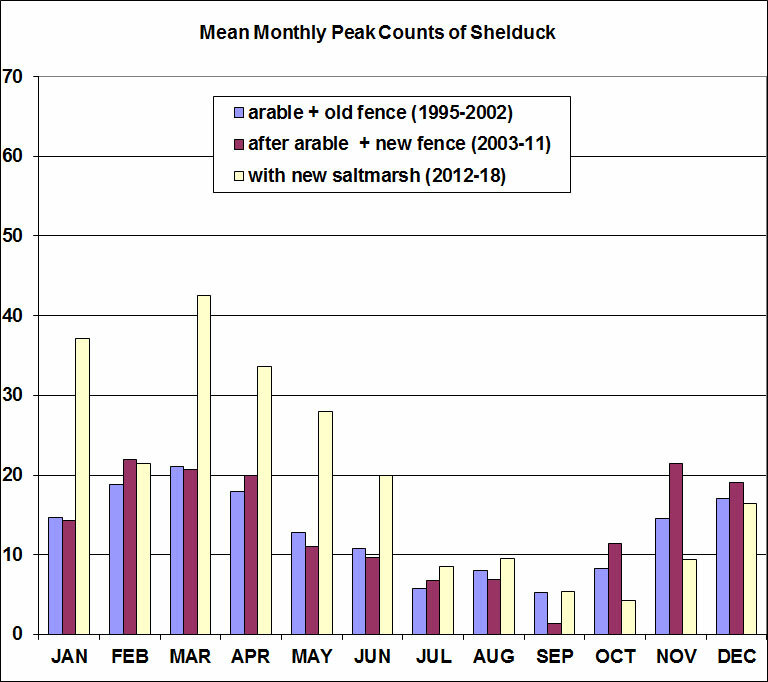 So here's a graphical summary of three wading birds and three ducks that have done well at Rye Harbour - in the graphs below years are grouped into three periods, of different colours, relating to the description above. 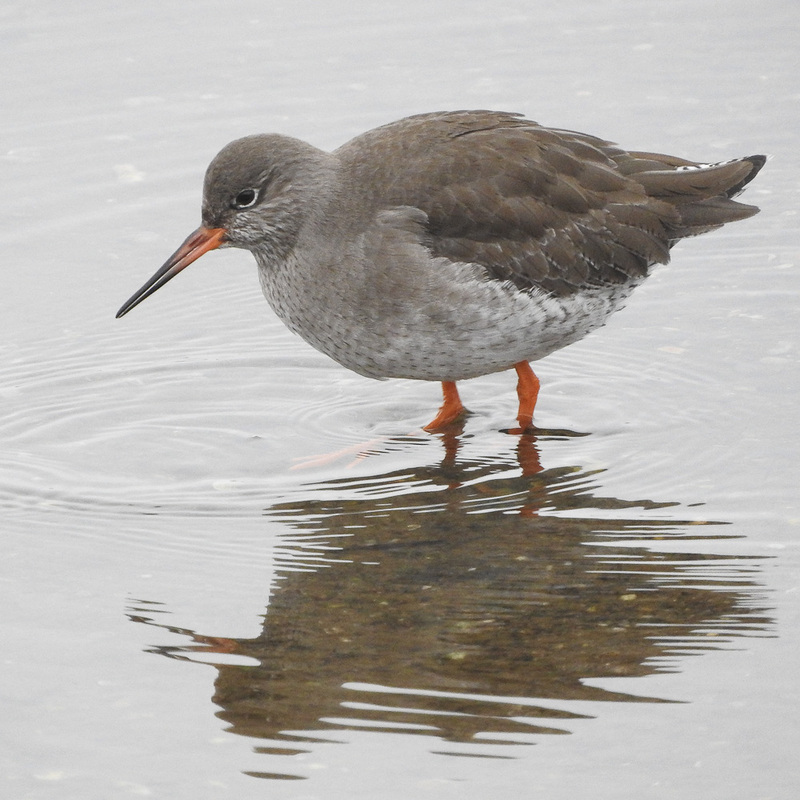 REDSHANK - is a small wading bird that specialises on feeding in wetland and especially saltmarsh. It has declined dramatically in Sussex and UK, but we manage to hold on to a small breeding population of 13 pairs and a larger non-breeding population. 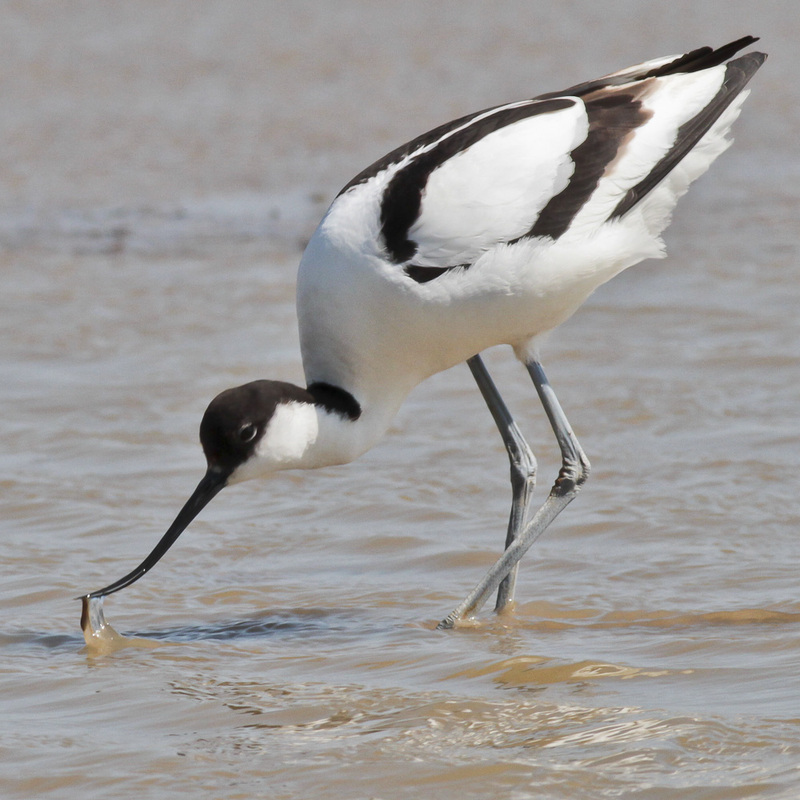 AVOCET - was a scarce visitor to Sussex until EA created the extra wetland here. 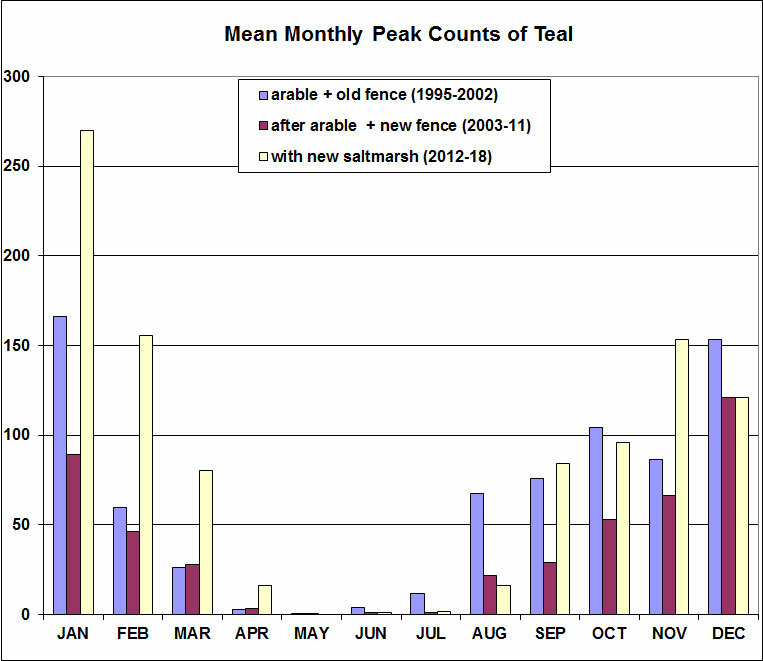 It is a wading bird that was very rare in the UK, but has increased and spread in the last 20 years. It is a specialist of saltmarshes and saline lagoons and it now breeds here, with 35 pairs last year. 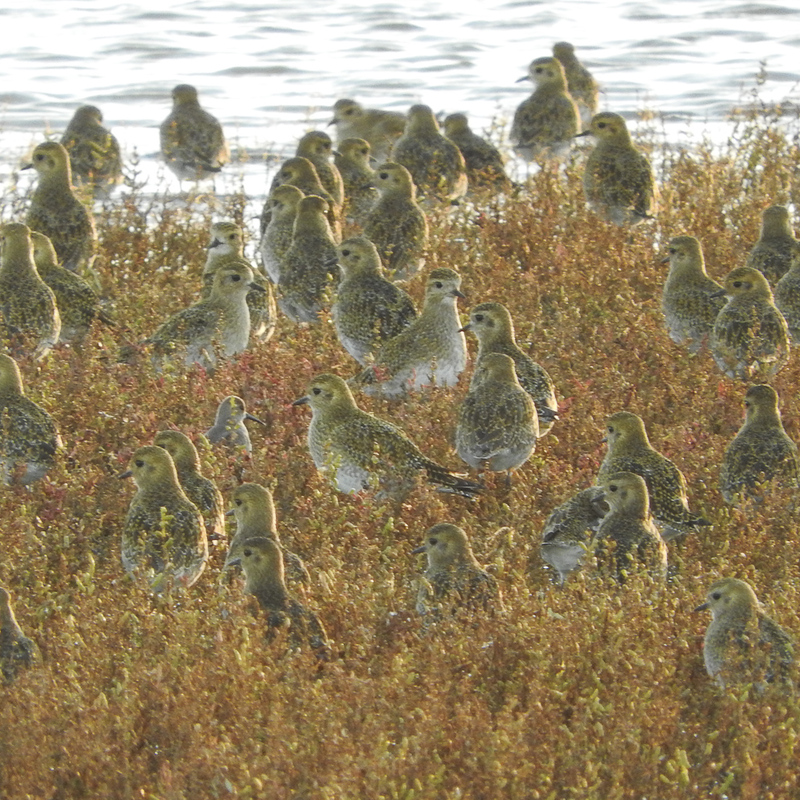 GOLDEN PLOVER - the counts below are of birds roosting here by day, attracted by undisturbed, wide open wetland spaces. They feed at night, finding worms near the surface on sheep pasture in the wider landscape. 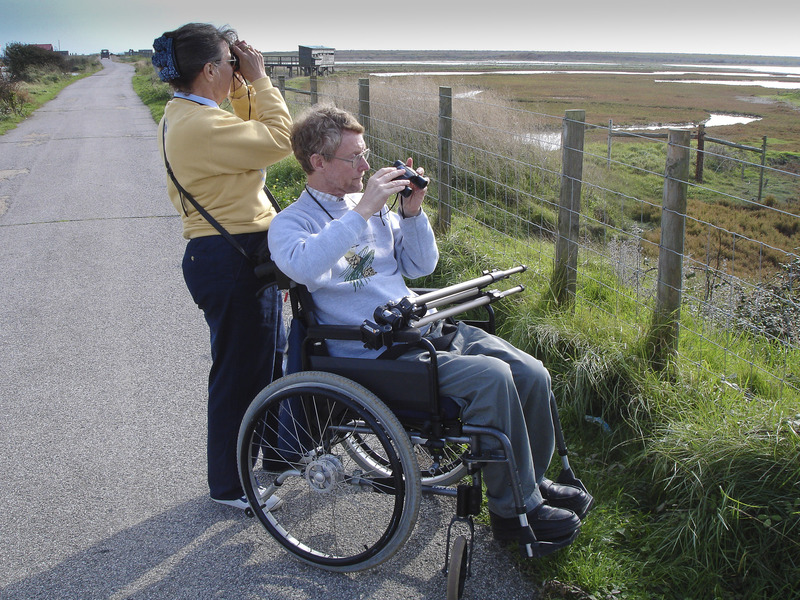 When being chased by a Peregrine the swirling flock, often mixed with hundreds of Lapwing, have become a spectacle for visitors and this is why we have chosen this bird as the symbol for Buy a Bird, the public fundraising for our Discover Centre Appeal. 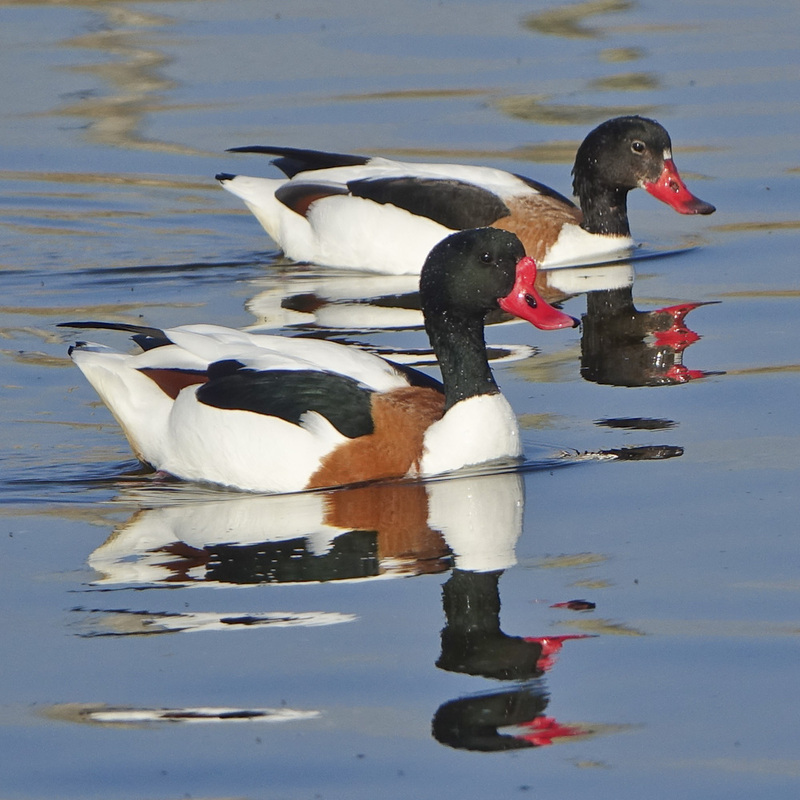 SHELDUCK - is a large duck that lives in estuaries and feeds on the tiny animals living in the wet mud. The female (smaller bird in the photo) can be brightly coloured because she nests underground, usually in old rabbit burrows and we have a few pairs nesting. In the autumn most of the adults migrate to Germany to moult all of their feathers and they start to return in late November. 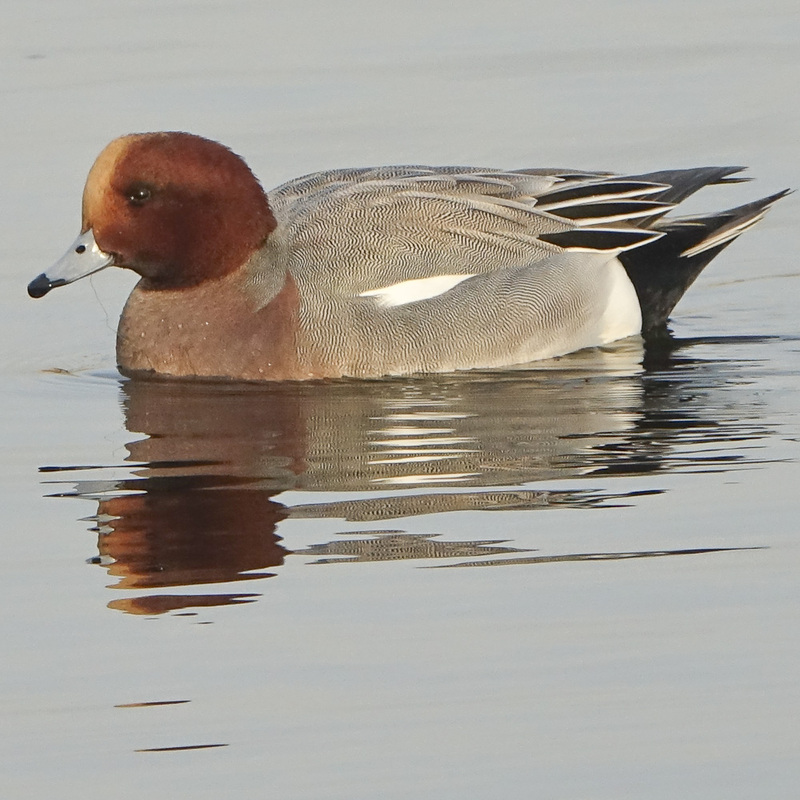 WIGEON - this dabbling duck is a winter visitor and feeds on seeds, aquatic weed and grazes on short grass. 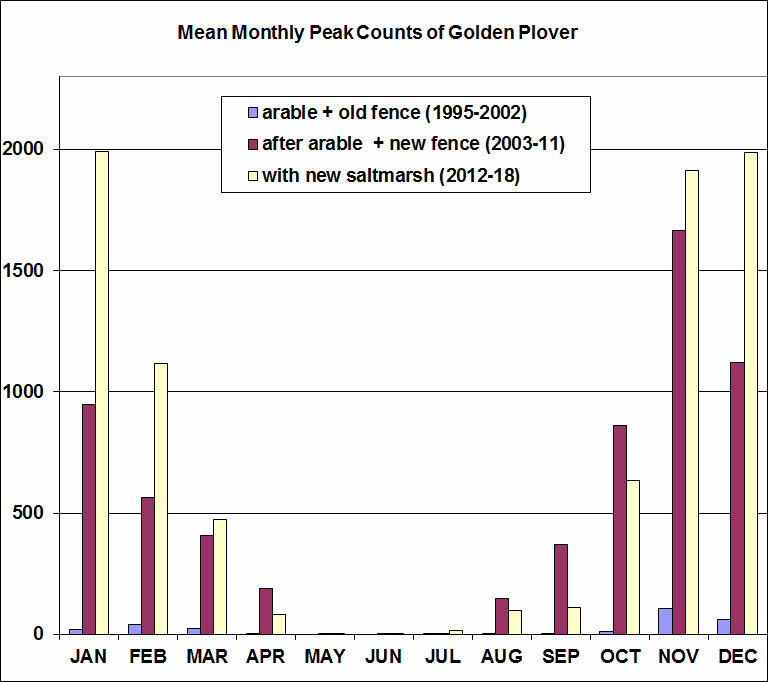 There has been an amazing increase and their whistling calls are a constant winter feature for visitors. 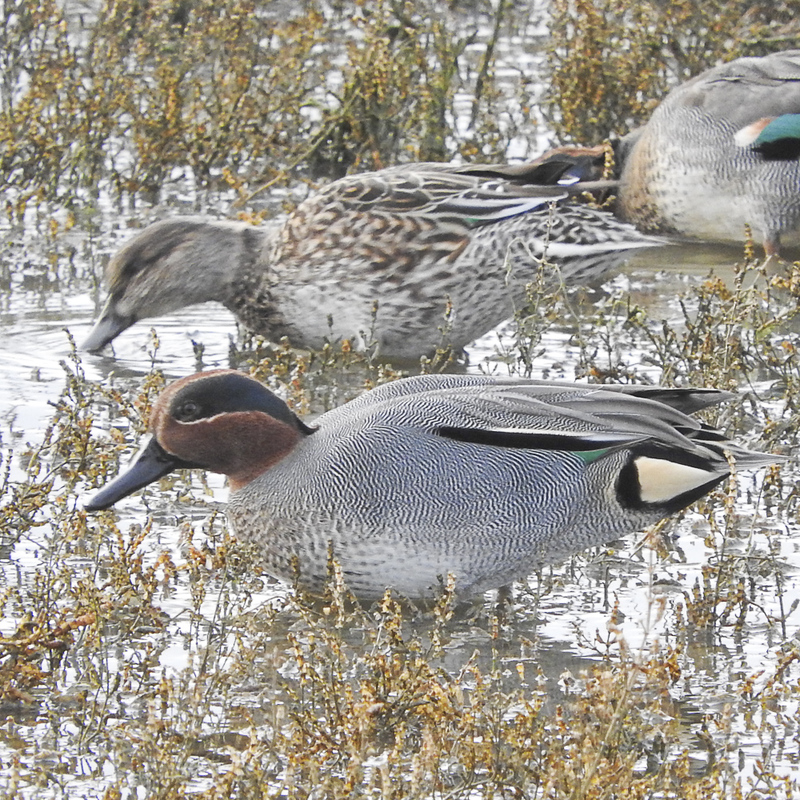 TEAL - is the smallest of our wintering ducks and they feed on small wetland seeds of which there is now a huge supply from the saltmarsh plants. They make a distinctive call that sounds like their name.